One of the most important elements of a smoothly-running kitchen is well-maintained restaurant equipment. This will not only keep your food production at the same standards that customers are accustomed to, but it will also help save owners money. Here are some tips on maintaining the most common types of restaurant equipment and what issues to check for. Inspect Seals: Inspect your seals regularly to check for any fraying or wear that prevents your appliance from closing correctly. Check the Gaskets: Prevent cool air from escaping your refrigeration system by checking your gaskets for signs of splitting or cracking. Clean All Parts: When grease, dust and debris are allowed to build up on your refrigerator components, you’ll notice a significant change in performance. Once a season, clean your condenser and evaporator coils, air filters, gaskets and drain pans. Clean Grease Traps: To prevent fires, you should clean your fryer’s grease trap every one to three months. However, once one-fourth of your grease trap is filled with fats, oils, grease, and solids (FOGS), have a cleaning done right away. Schedule Regular Inspections: Have you owned your fryer for at least five years? Once every 12 months, you should have a certified restaurant equipment contractor inspect your fryer for signs of wear or damage. Monitor for Oil Leaks: One of the biggest dangers to be mindful of with fryers is gas leaks. Owners should inspect their restaurant equipment every four to six weeks for signs of this issue. One of the best ways is to spray gas supply hoses with soapy water, then check for bubbles. If you see any suds, you likely have a leak on your hands. Clean it Thoroughly: Just like with grease traps, it’s important to keep your unit clean in order to prevent fires from occurring. Clean the grease trap every one to three months, and wipe down the exterior at the end of each day, as well as whenever splatters occur. Check Grease Filters: Just like the air filters on an HVAC unit, the grease filters on your range are responsible for allowing airflow through. When they’re clogged or full of buildup, you’re at a risk for a fire. Clean your filters at least once every three months. 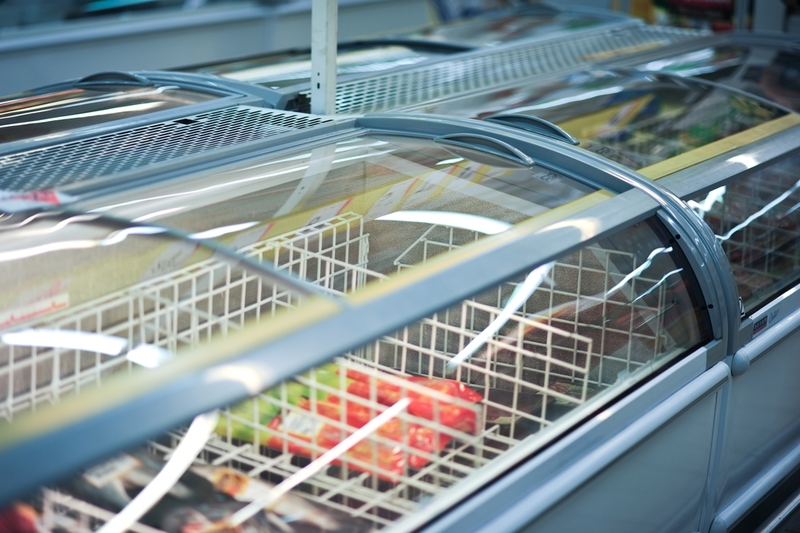 Whether you need to purchase a new commercial oven or have your ice maker repaired, trust the experts at Commercial Refrigeration of KY in Campbellsville. They carry the highest quality in restaurant equipment, and offer 24-7 emergency services for all of your cooking equipment needs. Learn more about products like commercial fryers, freezers and refrigerators online or by calling (606) 679-2339 today.